Now there's an Uber for flu shots. 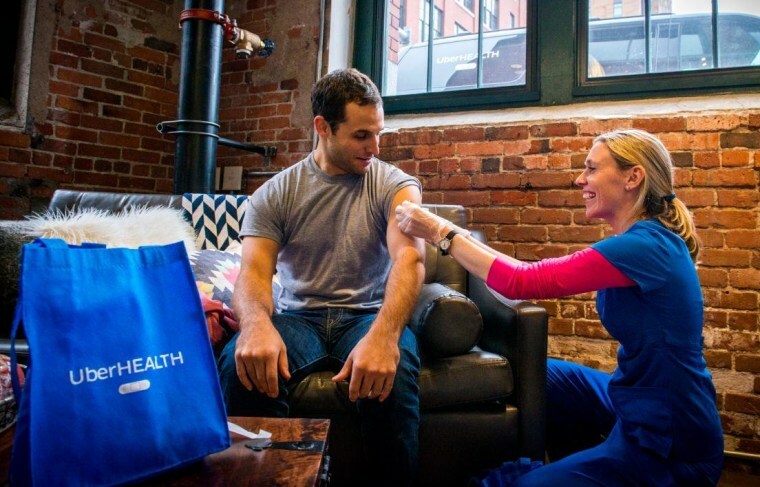 On Thursday the car-service at the tap of a smartphone announced a one-day UberHEALTH pilot program in partnership with Harvard Medical School's Vaccine Finder program to deliver free flu shots on-demand. From 10am-3pm E.T. Uber drivers will drive a registered nurse to deliver and inject the shot to customers anywhere within the three test cities of New York, Boston, and Washington. The shots will not take place in the cars. Instead users will be asked to identify a place to meet up with the nurses from the Passport Health and Pager program. No insurance card is required. Harvard professor John Brownstein whose group pitched Uber the project over the summer said it has "huge potential" to "deliver more convenience into delivery of care." The test can also provide a precedent for crisis situations, he said, where you "don't necessarily want people crowding and traversing cities to get access to vaccines." Uber is offering free flu shots today.. There's a surge pricing joke in there somewhere.